I have very sensitive skin and allergies to many chemicals, so finding cosmetics can be somewhat of a challenge. I typically like most of the Origins Line and appreciate the research that Dr. Weill has undertaken to produce this really great line. That said, however, A Perfect World Skin Guardian with White Tea Extract, and I did not get along well. The first day it was fine, but on the second day, I had an adverse skin reaction. I re-checked all of the ingredients listed on the box and none of my likely suspects were present. I went back into the store to show them what had occurred. This skin reaction was disappointing because I like the "feel" of the product. To their credit, the Origins counter staff took all of the information and indicated they would be relaying it back; additionally, they refunded the purchase price. This one instance has not soured me on the Origins line. For the most part, their products work perfectly fine for me and I believe this to be an anomaly. MY SKIN FEELS SOOO AMAZING! I absolutely LOVE A Perfect World by Origins! My skin has never felt so smooth ans soft as after applying A Perfect World! This wonderful moisturizer goes on so perfectly and smoothly, ans leaves skin so supple and radiant after the application, that I cannot stop touching my face (I know, I know - not a good idea if I want to not break out in an adult acne rage!) I apply this moisturizer after I get out of the shower, or after I wash my face, and apply it just before I apply my liquid foundation. I find that my liquid foundation, no matter what the brand name, goes on so much easier and more smoothly, and has a much more flawless and beautiful finish if i apply A Perfect World right before the foundation. I really cannot believe the difference after just one application! This face product really does generate monster results! I would have to say that I have indeed found the perfect product. U GOTTA FEEL IT TO BELIEVE HOW SOFT THIS PRODUCT MAKES SKIN! Origins A Perfect World Skin Guardian with White Tea Extract gets a ten and two thumbs up from me! I cannot say enough about this entire skin care; I am really impressed with it, and have been for sixteen years. I use this product after washing with Origins Checks and Balances face wash, and before I apply liquid foundation. I was literally speechless the first time I used this product, because I never thought in a million years that a product could get my face THIS SMOOTH. I was blown away. My makeup went on so easily and smoothly, and the end result was a flawless makeup job. The difference is so noticeable that others can feel it if they were to run their fingers over your face after you use A Perfect World. Doesn't Clog Pores This product does not clog pores or cause any negative side effects. I know it may seem like it would, considering the way you feel as if you have a totally new face, but I assure you, it is not because it clogs pores. It also does not leave a greasy or oily feeling; just smooth skin. My skin has never been so clear as when I am using the Origins skin care line. Effectiveness This is the most effective skin smoothing product that I have ever encountered; you simply HAVE TO TRY IT FOR YOURSELF TO BELIEVE IT!! I love how this white tea face moisturizer has antioxidants in it. I feel like that is a good thing to put on my skin to prevent aging effects and keep my skin healthy. This is a great value for your money. Yes, it is a little expensive but sometimes Origins gives you coupons so you can get a little bit of a discount. I have been using this product for about a year now and I still have some left! I think that the jar is a little bit unsanitary so I usually get a popsicle stick or something to scoop it out so unnecessary bacteria doesn't get inside the jar. The white tea in it smells so good! I love smelling the jar before I use it because I'm a weirdo. 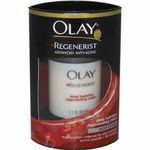 This product is very moisturizing and it always heals the dry patches on my face. It doesn't make my face feel greasy at all. I think that it would be good for sensitive skin because they don't use as many chemicals as other brands. I Love the Origins Perfect World White Tea Face Moisturizer. I absolutely love the whole Origins line actually but the White Tea Products are my favorite. I needed a moisturizer that was not heavy and thick and I already use the White Tea Face wash so I decided to try this moisturizer. I love it, it is light and not thick and greasy and goes on smooth. It has a great fresh light fragrance as well, not perfumey or smelly. The lotion is extremely effective for my dry skin. It provides sufficient moisture and works very well. The Origins Perfect World White Tea Face Moisturizer is a bit more expensive then some but it is well worth paying the little bit extra for a superior product. It far exceeds the products that you can buy in your regular drugstore. I Love all the products that Origins makes and this one is one of my favorites, good for men as well but Origins does also make a mens line. I would recommend the Origins Perfect World White Tea Moisturizer for all skin types, combination, dry and oily. 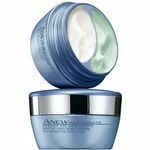 If you want to try anew moisturizer, then this is definitely the one to try, you won't be disappointed. The Origins Perfect World White Tea Moisturizer gets a rating of five in my book, give it a try! You will love it! Enjoyed this product. It was light non-greasy and left a really nice refreshing scent. Decided to try this product based on a friend's recommendation, and i was not disappointed. I used this product in the daytime before i step out of the house, sadly it lasts probably only half a day before i need to reapply, but hey i live in a windy city. Wished it came in a tube for easier daytime application on the go. Origins a Perfect World Skin Guardian is a true skin protectant. This is my favorite product to put on my face before my moisturizer. 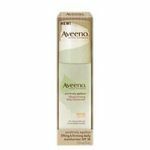 It absorbs quickly and leaves my face feeling soft and supple. I have tried other products but I always return to a Perfect World Skin Guardian. Origins A Perfect World moisturizer is excellent for dry skin. I have very dry skin and Origins A Perfect World moisturizer is one of the only moisturizers that I can use in the winter time. It keeps my skin moisturized without that tight feeling from dry skin. Ingredients include antioxidants and white tea. It keeps my skin feeling moist all day. Occasionally, if the air is really dry from the heat being on, I will need to apply a second application in the morning, but usually once is enough. This moisturizer is a little too heavy to use in the summer time. I use Arbonne's NutriMin Daily Creme in the summer, but for the dryer winter air, Origin's A Perfect World is an excellent choice. I would recommend this to people with very dry skin. It is not greasy and does not clog your pores. It is rather expensive, but worth it. The Origins line also carries face wash, toner, exfolliating scrub, etc. I wanted to find something that would act as a good base and possibly something I could wear without moisturizers. This product was one of the top picks in a fitness magazine I was reading. I compared it with some other products the magazine mentioned then went to the store to try them out. I really liked the way A Perfect World Skin guardian smelled and felt on my skin when applying it. However it did not seem to make much of a difference after consistant usage. 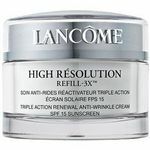 It works as a nice base under the moisturizer and definitely made my skin feel smoother for the greater part of the day. Helps when I'm applying make-up because sometimes my dry skin makes make-up look dry and flaky. However I don't think it made that much of a difference in "guarding" my skin. On days where I would only wear the skin guardian, either because I forgot the moisturizer or was too lazy to apply it, it would keep my skin hydrated for the work day, but towards late afternoon or early evening it would definitely wear off. Origins A Perfect World line is amazing, but like most people I'm on a budget, so if I can only splurge on one face item its the face moisturizer. I love all of the Origins face care and most of their makeup, but this has been my go to item now for about 6 years. Its very rich, but not too heavy and the fragrance is light and pleasant. In the Winter my face gets dry and everything else I've tried from the drugstore just doesn't seem to cut through the dryness. Most just put a greasy layer on my face, but this line I believe is water based and it melts into your skin making it very soft and not at all greasy or sticky. After several days of using this I can go without foundation and no-one knows. It really is a great product and if you watch for sales on the website you can usually get a free face wash or other product a few times each year which makes the price more reasonable. Everyone deserves to have a few products that make us feel great and this is one for me!